Forex Money Management - Find the best FOREX Brokers, FOREX Bonuses, FOREX Signals, FOREX News, FOREX Rates and everything FOREX related on Forex Directory! As a rule Forex Brokers will not teach you good money management skills, however a lot of Forex Brokers will often provide education material, so it is necessary to learn on your own. The general concept of the whole trading process is to survive in the Forex market! The survival is the first exercise after that comes gaining the money. You should have a clear understanding that good Forex traders are - above all - skilled survivors. The Forex traders who have a big capital can additionally tolerate larger losses and proceed trading under adverse conditions because they have the financial ability. For a normal Forex trader the skills of surviving become an essential "must know" condition to keep own Forex trading accounts "alive" and moreover be able to generate profits. 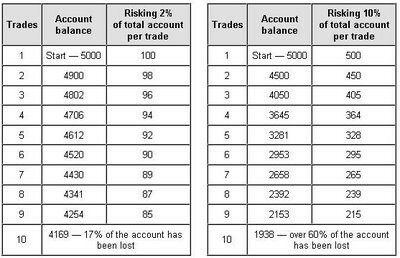 As you can see there is a big difference between risking 2% and 10% of your trading account balance per trade. A Forex trader who has made 10 trades is risking only 2% and under the worst conditions he would lose only 17% of his original investment. The same Forex trader who had been using 10% of the trading account balance per trade would finish with losing over 60% of his original investment. You see that this simple decision can have critical consequences if misunderstood. If the chances to win a trade are smaller than potential losses you shoud not not take the trade! Have in mind that to stay aside is a possibility. E,g, losing 60 pips versus winning 50 pips or losing 40 pips versus winning 40 pips - both examples are haveing a bad risk management. Before you take a trade you should reinsure that the risk/reward ratio is not less than 1:2 but ideally 1:3 or higher: That signifies that the chances to lose are tree times less than promises to win. E.g. 30 pips of a possible loss versus 100 pips of a potential win is a good trade to reflect on taking. Assuming this money management principle as a must, for the long term it will dramatically raise your chances to be successful in making steady profits. Each day a lot of of Forex traders blame themselves for making naive decisions and trading without protective stops. Many Forex traders lose their trading accounts which are worth weeks, months and even years of trading just because of one unsuccessful trade. 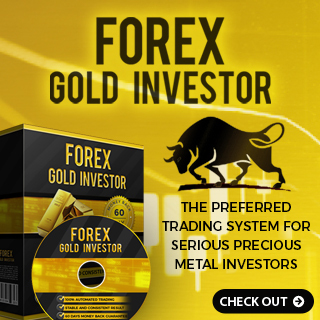 And each day a lot of Forex traders who have heard many times about the importancy of protective stops, take new trades by disregarding the well known money management rules. A stop-loss is not often an affected tool for many Forex traders because it needs taking necessary losses, calculate risks and foresee price reversals. Indeed a stop-loss becomes rather a massive trading weapon than a cause of frustration and superfluous losses. Every forex trader has the possibility to develop his/her own trading style and integrate own money management rules. We will now show you some methods of using stop-losses. It is an essential money management rule that you should not to risk more than 2-3% of your total trading account per trade. According to this rule a Forex trader would place an order and based on a lot size would calculate the amount of pips which are required to reach the limit of 2-3% of the total trading account balance and a stop-loss will be placed at that point. E.g. a Forex trader has $1000 USD account and he places a buy order of 4000 units on EUR/JPY that will give him on average $0.40 cents per 1 pip. Since 2% risk which he is willing to take equals $20 USD ($1000 * 2%), the calculations will be the following: $20 / $0.40 cents = 50 pips is the limit for this trade. The chart based stop is used by a lot of Forex traders. This stop depends on different chart patterns, indicators and signals which are received if studying the forex market. There are plenty styles and techniques which are associated with different Forex trading strategies. - Fibonacci related stops etc. You should always risk no more than 2-3% of your total trading account per trade. So how does it work in practice? You have opened a trading account of $1000 USD with a Forex Broker and got 20:1 leverage. So now you have leveraged youself to $20 000 USD to start trading with. More money implies a higher trading power for you. But the higher your trading power is, the higher are the risks! And when we talk about risks we have to talk about a real trading account value that will lower with every loss steadily during your trading. So if we say risking no more than 2-3% of your total trading account value we mean the real trading account value that is $1000 USD in our example. Now let us begin trading and do the calculation. Let us say that you have decided to risk 2% of your trading account for each trade. $1000 x 2% = $20 USD. This signifies that if the price goes against you, you will need to be out of the trade as soon as you are $20 dollars down. Ok now it is time for you to trade. 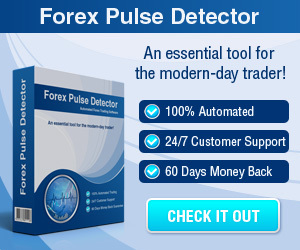 Your trading power measures $20 000 USD because of your leverage. What will happen when you try to trade them all at once: for one $20 000 dollar trading lot order your Forex broker gives you a pip value of $2 dollars. This implies that with each pip which you gained you will have +$2 USD in your trading account. But this also implies that with each pip which you lost your trading account will reduce by $2 dollars. Since you can afford to lose only $20 dollars in one trade, you will exit a trade as soon as the Forex market makes -10 pips. Only 10 pips are required this time to reach your 2% limit. 10 pips * $2 USD per 1 pip = $20 dollars, that is your 2% account limit according with the money management rule which you have chosen to follow. Now let us try to trade a $10 000 dollar order. The pip value for this order size will be $1 USD. 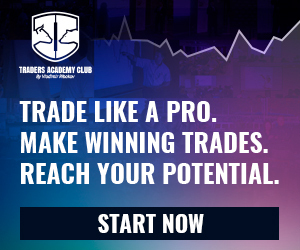 you can stay in the trade till Forex market makes -20 pips against you. So this time you can stand a bigger market change. When you reduce your trading lot to $5000 USD, your sustainability will raise to -40 pips against your trade. In this example the pip value for $5000 dollar lot will be $0.50 cents. As you see with the existing Forex money management rule your real trading account is under control. And even though leverage allows you to trade larger positions, the risks should be always under control. Have a look at the Forex Money Management videos for more information!